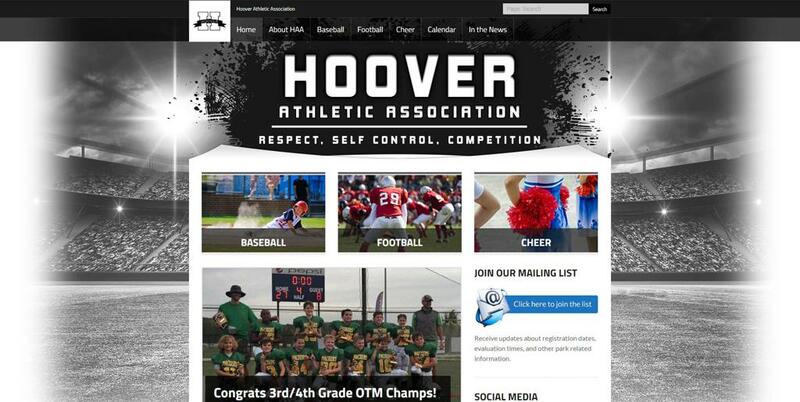 Birmingham, Ala., April 24, 2018 – According to SportsEngine, an NBC Sports Group company, the website of the Hoover Athletic Association (HAA) ranks among the top five of SportsEngine's youth athletic organizations across the nation. The company touts that the HAA site combines clean, eye-catching design with well-packaged content. The websites on the SportsEngine platform were graded based on design, navigation, content, schedules and results, about us, use of the SportsEngine platform and bonus content. The top five sites are all easy to navigate on both mobile and desktop devices, have rich content and sleek design, and use an array of SportsEngine products. “The SportsEngine site rankings are designed to highlight and celebrate the organizations that have invested time and resources to create the best online experience for their athletes and families, coaches, and team managers,” said Rick Ehrman, VP of Corporate Business Development for SportsEngine. The ranking team commented specifically on HAA’s great homepage design and user-friendliness. They believe that it screams, “Friday Night Lights,” and is one of the most creative in its class. Also highlighted was the fact that large, clickable graphics make for a site that is both engaging and easy to use. “We are very appreciative of this recognition by SportsEngine, and especially thankful to our Vice President and Webmaster, Jared Phillips, for volunteering his time to make this happen,” added Plaia.